PHUKET: In a bid to encourage more visitors to Thailand after the recent political turmoil, the Tourism Authority of Thailand (TAT) has introduced new products and packages to 30 key travel operators in Australia and New Zealand. The overall package was announced yesterday by TAT governor Suraphon Svetasreni. Australia and New Zealand were chosen as the first overseas mission for the agency in the new fiscal year to bring back tourists by enhancing cooperation between the TAT and business partners in those countries. Even though Thailand has faced challenging times recently, Australia and New Zealand have remained supportive of the Thai tourism sector, as evidenced by the increase in the number of visitors over the past year. In Australia, the TAT will promote eco-adventures and Thai culture holidays through joint marketing with tour companies. These initiatives will offer real-life experiences focusing on soft adventure, culture, Thai cuisine and local lifestyles, he said. The agency will also encourage Australians and New Zealanders to break up their long-haul trips to Europe by stopping over in Bangkok for a few days. “We have such programs as ’72 Hours in Bangkok’, which offers a short-time package in the capital and nearby areas. Visitors can get into the city quickly and easily for some sightseeing or shopping,” Mr Suraphon said. Meanwhile, the TAT is urging Thais living in Australia to help reinforce the Thailand brand by working with Thai communities to organize festivals such as Loi Krathong and Songkran. From January to August, Thailand received 440,000 Australian visitors, up 11% over the same period last year. Of these, about 63% were repeat visitors. They stayed an average of 12 days and spent an average of 4,725 baht per person per day, according to TAT statistics. This contributed about A$1.32 billion in tourism revenue to the economy. Australians tend to be all-year-round visitors, which benefits the industry in the low season. 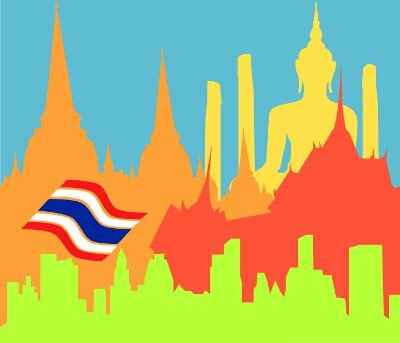 In the same nine-month period, Thailand welcomed 57,000 New Zealand visitors, up by 2% year-on-year. About 63% were repeat visitors, and they stayed an average of 12 days and spent an average of 3,945 baht per person per day. New Zealand visitors are increasingly interested in Thai tourism products, including spas and wellness, golf, diving, eco-tourism, “soft adventure”, trekking, mountain climbing, Thai cooking classes, weddings and honeymoons. “In 2011, we will continue the national Amazing Thailand campaign, with an ‘Always Amazes You’ tagline to reinforce the positive emotions visitors have in relation to the Thainess that differentiates the country from other holiday destinations. New Zealand is one of the key markets for these products,” Mr Suraphon said. There are currently 71 direct weekly flights between Thailand (Bangkok and Phuket) and the Australian cities of Sydney, Melbourne, Perth and Brisbane. “The TAT will take Phuket’s popularity in Australia and New Zealand to the next level. We are positioning Phuket as the gateway into other parts of Thailand and the neighboring countries of Cambodia, Laos, Burma and Vietnam, as well as southern China,” Mr Suraphon said. According to official data, international arrivals in Thailand from January to August were more than 10 million, which is 13% higher than the same period last year. The TAT hopes to see 14 million arrivals for the full year.